The excitement of Apple's iPhone 6 may be behind us, but we've now got Google's new Nexus device(s) to look forward to. And potential dates are starting to leak out. 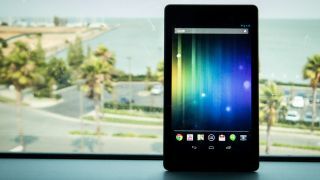 According to a report on Android Authority, Google is readying it's HTC-made Nexus 9 tablet for an October 15/16 official appearance. Quoting the ever-reliable "sources familair with Google's plans," the website says there's even a chance we could see the new Nexus 6 phone at the same time. The October unveiling would also showcase more of Google's as-yet-unnamed Android L operating system. The OS itself is pegged for a November 1 release date by the same sources with suggestions that the earlier hardware announcements will give the search giant a couple of weeks to work out any last-minute bugs. Chances are that any new Nexus devices announced will be available to pre-order fairly soon after, with a prospective shipping date after November 1. In previous years, Google has released its latest Nexus devices with little fanfare and there's predictably no official line from the company yet on when we'll be seeing the next iteration. HTC already has its own event scheduled for October 8, but we're not expecting any sneak peeks of Google's next offering there.